See the very best of Santiago and also visit excellent quality vineyards enjoying a lovely lunch looking out over the vines and the Andes all as day trips from Santiago. Flexibility to choose your own hotel in Santiago - giving you options when it comes to Budget and Comfort. Today upon arrival to Santiago's airport, a driver and guide will meet you and take you to your hotel. After checking-in, a driver and guide will pick you up and take you on a historical city tour of Santiago. First, drive towards Santiago's Central Market, a colorful conglomeration of fish and seafood, fruits, vegetables, and flowers housed in an exquisite 19th century wrought-iron building. Next we will continue down to the main avenues of the civic center and the seat of government, the neoclassical La Moneda Palace, built during the 18th century. Then we'll visit the Plaza de Armas, Santiago's main square, a picturesque square surrounded by the 18th century Metropolitan Cathedral, the National Historical Museum, and the Central Post Office. Leaving downtown, we will head towards the Santa Lucia Hill. It was a rocky hill until 19th-century city mayor BenjamiÃÂ­n Vicuna Mackenna had it transformed into a beautifully landscaped park where the grassy verges are still a favorite with canoodling local couples. A web of trails and steep stone stairs leads you up through terraces to the Torre Mirador at the top. Charles Darwin proclaimed the view from here 'certainly most striking' in 1833. We'll continue to Forestal Park, leading to the Fine Arts Museum and Bellavista, the bohemian artsy center of Santiago, followed by a visit to the Club Hipico, Chile's oldest racetrack (1870), where views of the Andes compete for your attention with the action on the turf. Finally, we will visit the Republica neighborhood. Located in the western part of Santiago, it's one of the traditional neighborhoods of major architectural and historical heritage in the capital. It was declared a national heritage zone by the Chilean government in 1992. After this tour, your driver will take you back to your hotel. Overnight Aubrey (an Australian/English owned small friendly boutique hotel situated in Bellavista). 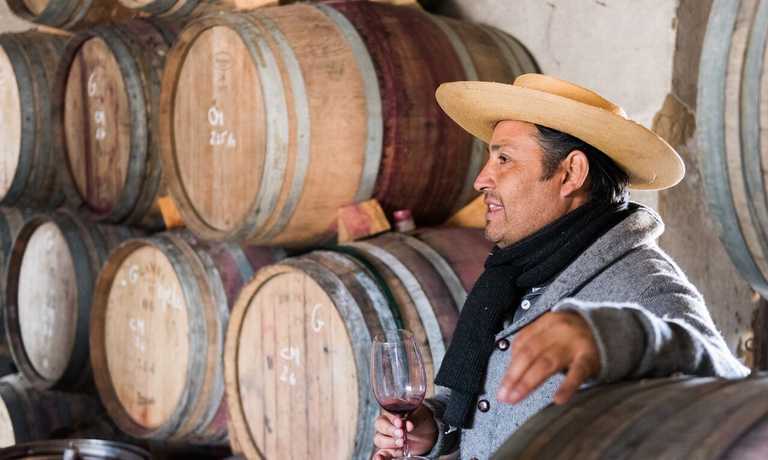 This morning after breakfast, your driver-guide will pick you up and take you about 45 minutes south of Santiago to The Maipo Valley, Chile's oldest and most famous growing area. It's a sub region within the larger central valley region and lies just south of Santiago. 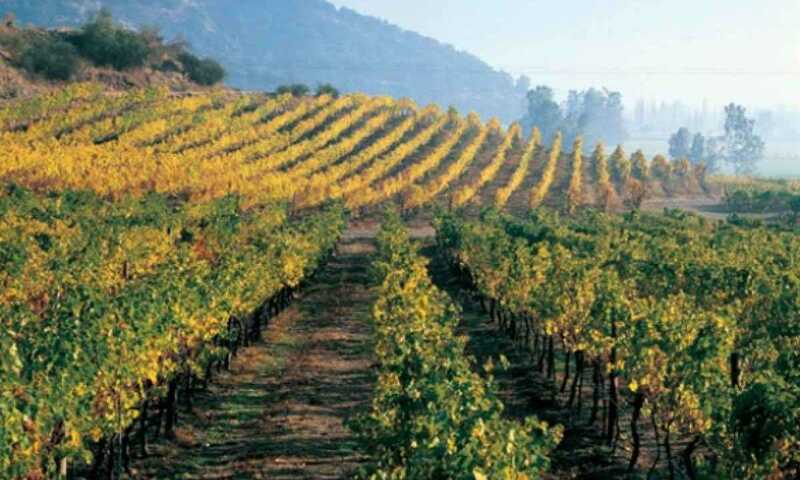 Although Maipo isn't the largest area, it contains a considerable concentration of vineyards and a large representation of important producers, largely due to its close proximity to Santiago. Ocean breezes and elevation provide a number of cool growing areas within the region. For the most part, this is red-wine country, with cabernet sauvignon the most celebrated and widely planted variety. There are also good examples of chardonnay, merlot, pinot noir, sauvignon blanc, and semillon being produced. Our first stop today will be to Haras de Pirque, one of Chile's famous vineyards. Upon arrival you will be welcomed by a bilingual guide who will lead you to a panoramic view of this vineyard. The property, today covering 600 hectares, gently ascends the lower slopes of a spur of the Andes Mountains. On these foothills, between 1992 and 1993, one hundred and twenty hectares of vineyards were planted, mainly with the reds Cabernet Sauvignon, Merlot and Carmenere, and the whites Chardonnay and Sauvignon Blanc. Haras de Pirque's name honors the country's oldest thoroughbred breeding stud, founded in 1892. The stud has four extensively pedigreed stallions that have sired exceptional offspring. The farm's success is reflected by a long succession of trophies won in the nation's main horseracing events and an unrivaled leadership in all of the sport's local categories: broodmare sires, stallions and general standings. Here you will enjoy a tour of this picturesque vineyard & a tasting of their wines. 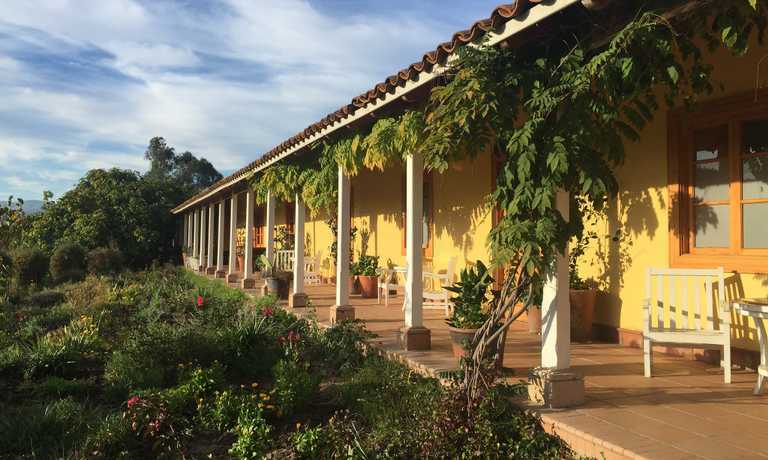 Next we will have an elegant lunch at the Dona Paula Restaurant, located right inside the Santa Rita vineyard. The combination of service and food results in a delectable meal. An added bonus is the fact that they will be lunching in a national monument. This is where Bernardo O'Higgins, the general who led Chile to independence, and 120 soldiers once took shelter after fighting the Spanish crown forces. Our final stop today will be to the Perez Cruz vineyard. Planted in the 90's and according to the natural conditions of the Maipo Alto for excellence red wines production, Perez Cruz chose the best varieties for its terroir. The 140 hectares of vines are planted with Cabernet Sauvignon (70%), Carmenere (10%), Merlot (5%), Syrah (5%), Cot or Malbec (5%) and Petit Verdot (5%) through an assemblage that brings together the best attributes of each variety. Their first wines were bottled in 2002. After this visit, your driver will take you back to your hotel in Santiago. After breakfast you will be transferred for your onward travel. Hotels listed in itinerary are only a suggestion, please take a look at our Hotels in Santiago Page for more accommodation options.